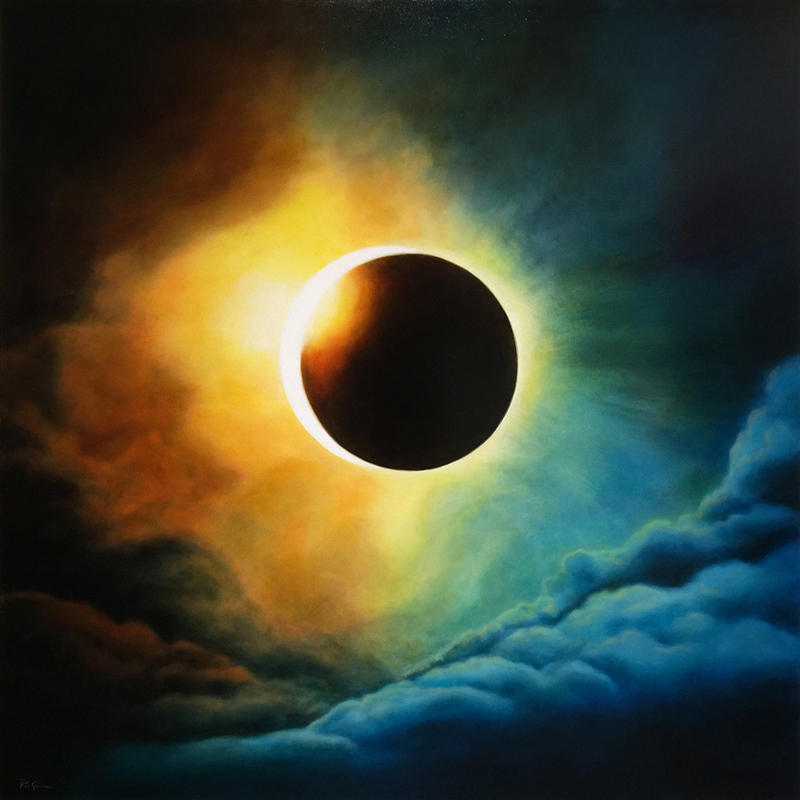 Earlier this year, I was commissioned to paint an eclipse in oil. The couple had a 2nd home in Jackson Hole, Wyoming and wanted to have art works that connect to nature. During our initial conversation, they suggested two ideas, the eclipse, or an image of the Grand Prismatic Spring in Yellowstone National Park. 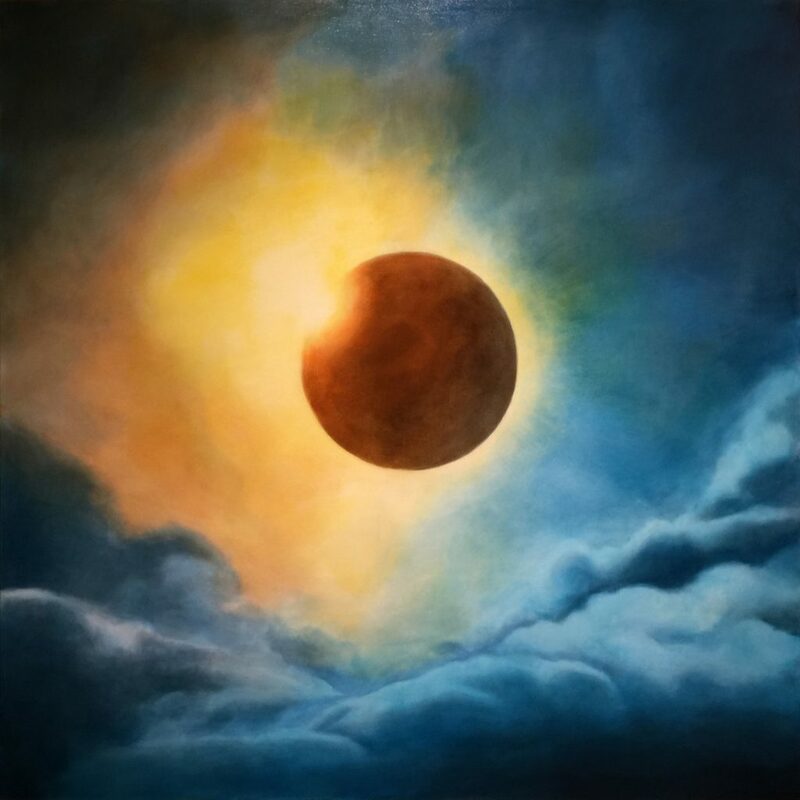 After some discussion, they went with the eclipse image because of it’s history of drama and mysticism, and because we were due for an eclipse this year which at this point, has passed. So it seemed the most timely image as well. I used photoshop to work out a study and while doing so, I came upon the idea of actually integrating an element of the Grand Prismatic Spring into the eclipse. That element was it’s coloration. The Grand Prismatic Spring has a beautiful rainbow spectrum of color that has imbued itself into the mineral deposits within it. 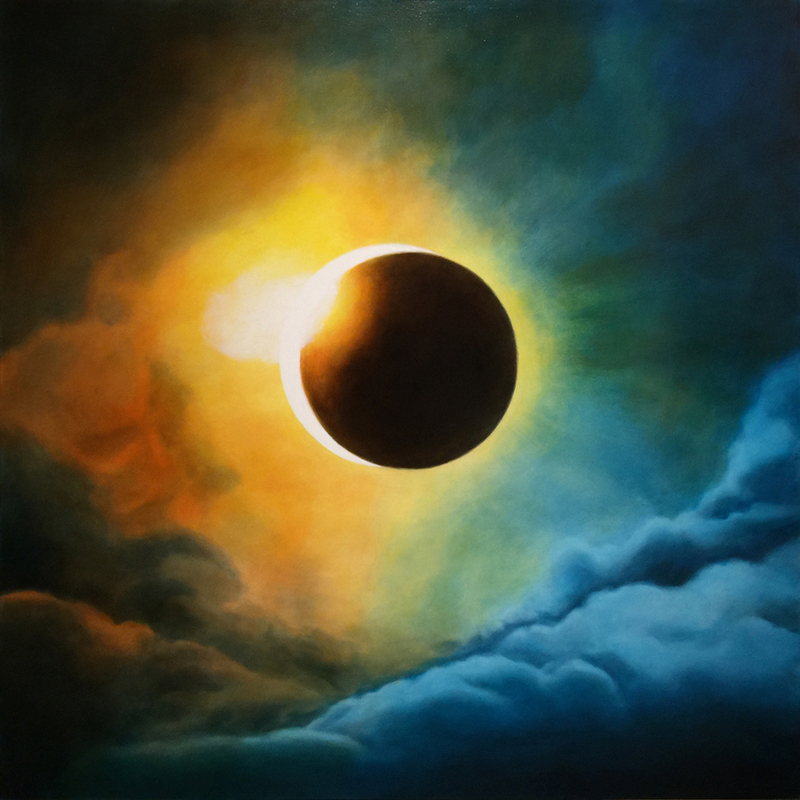 To add more drama into the eclipse image, I suggested that I use the same color spectrum in the eclipse and to my delight, my patrons agreed. 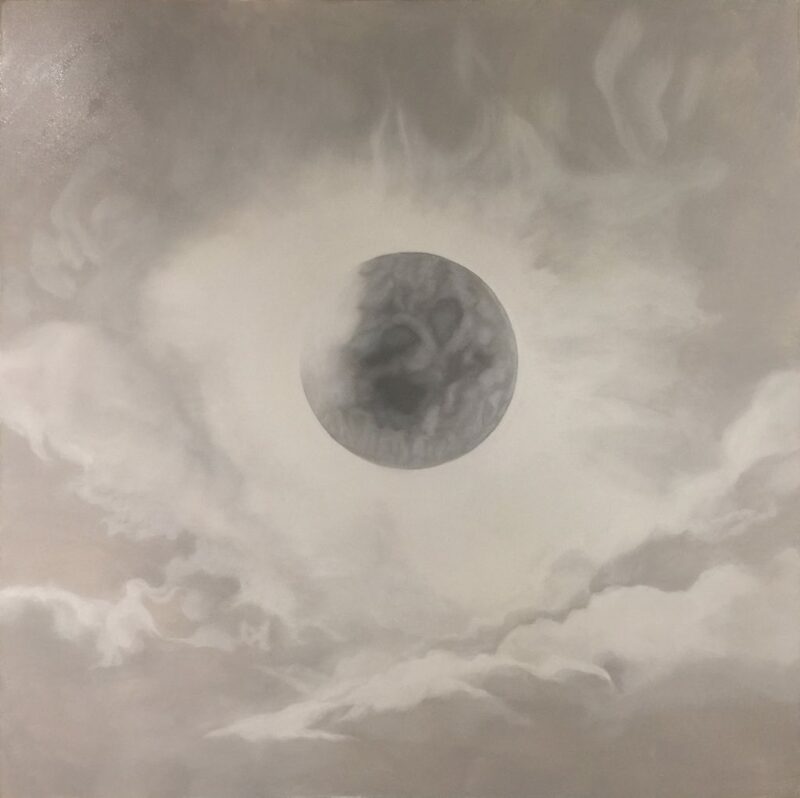 The oil painting was rendered using the traditional old-master style of underpainting known as the “Imprimatura”, which is a monochromatic gray layer “Grissaille” of the image. This layer was then overlaid with successive glazes of transparent color. The wonderful thing about this style of painting is the way it reflects light. 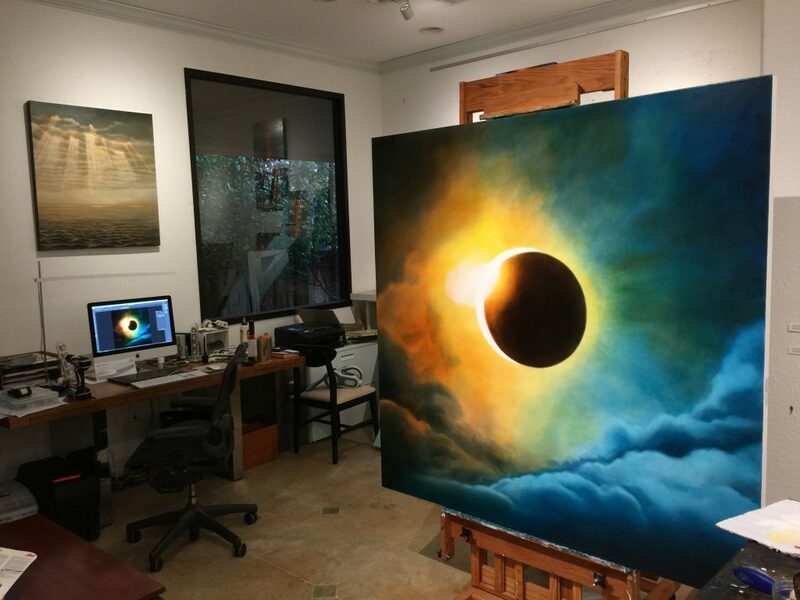 When light hits the painting, it passes through the individual layers of glazed color until it hits the opaque underpainting. It is then reflected back through the glazes at the viewer. This is a form of backlighting the color and creates a richly radiant and luminous effect. An exaggerated example of this would be a stained glass window where light shines through the colored glass so the color is atmospherically beautiful. It was important to me that the painting feel as though light was emanating from it, not bouncing off of it. The fact that the subject matter was the sun itself, which is humanity’s Alpha source of light only underscored the importance of how light would work in this painting. In the end, I was very happy with the results and my patrons were as well. The painting is now hanging in their home.